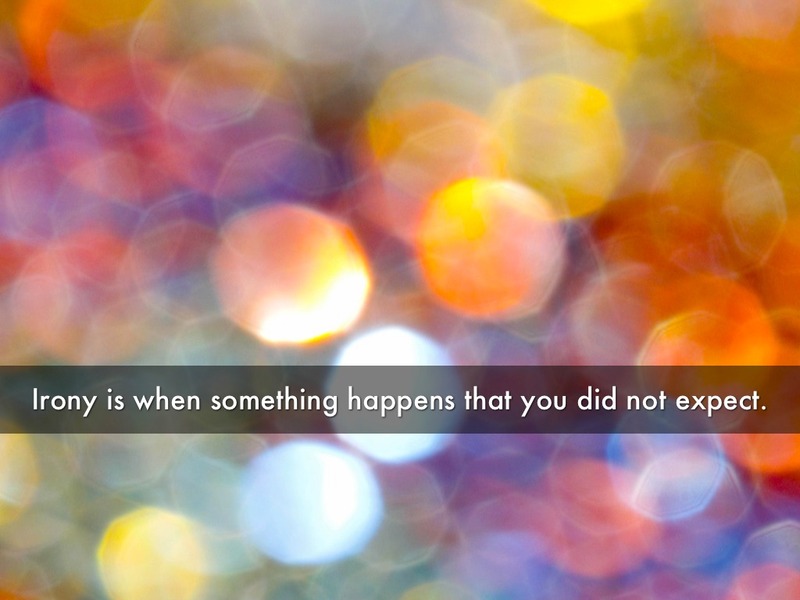 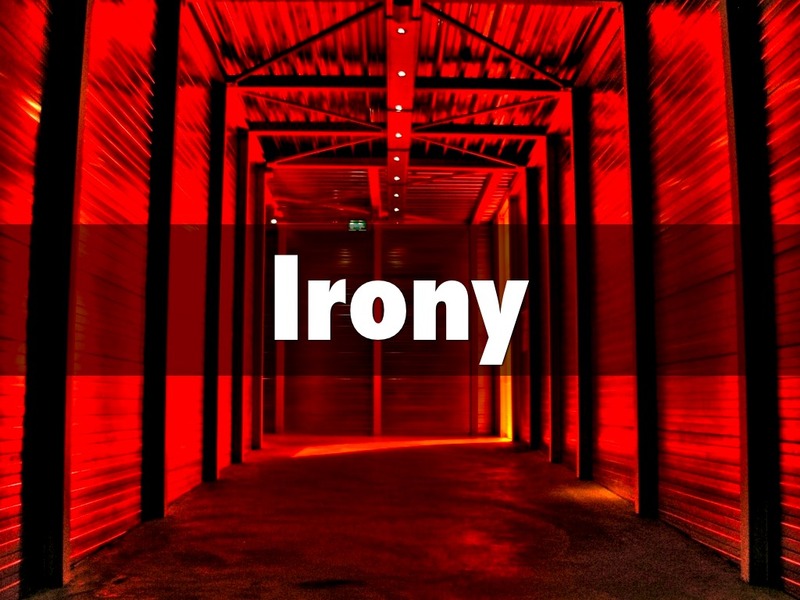 Irony is when something happens that you did not expect. 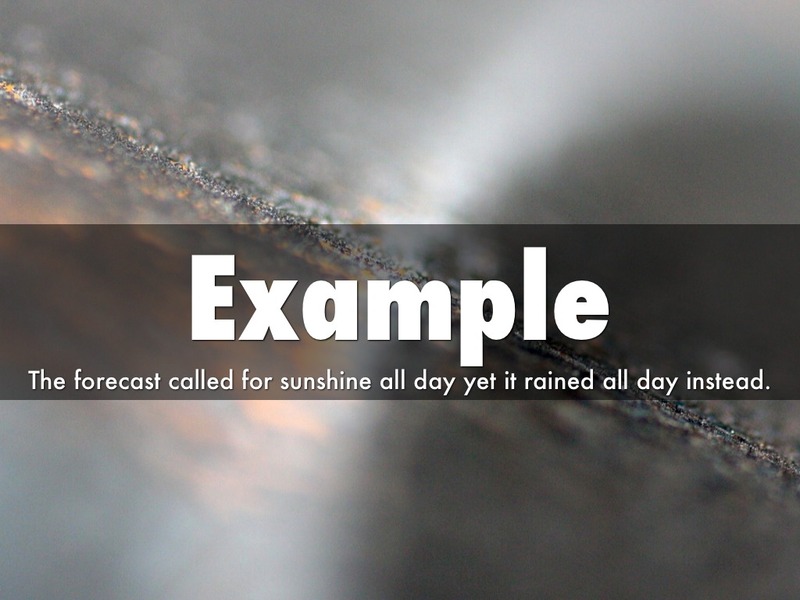 The forecast called for sunshine all day yet it rained all day instead. 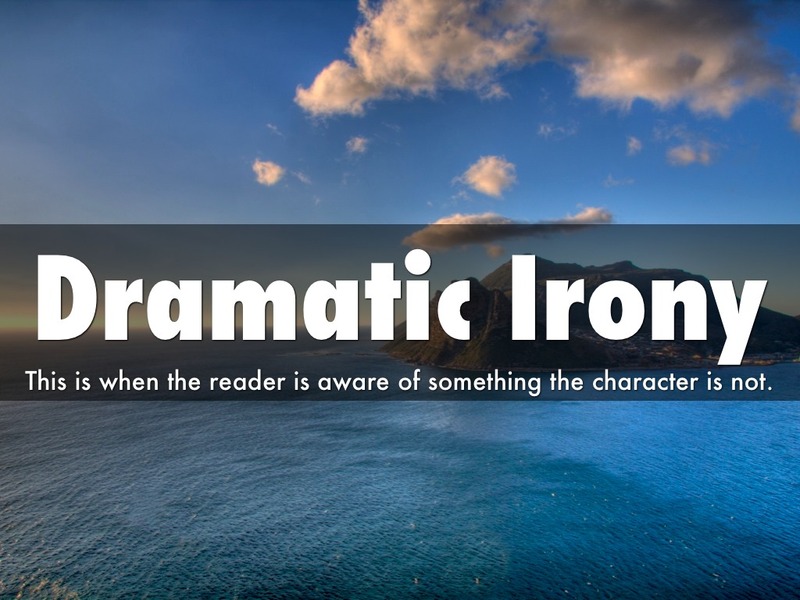 This is when the reader is aware of something the character is not. 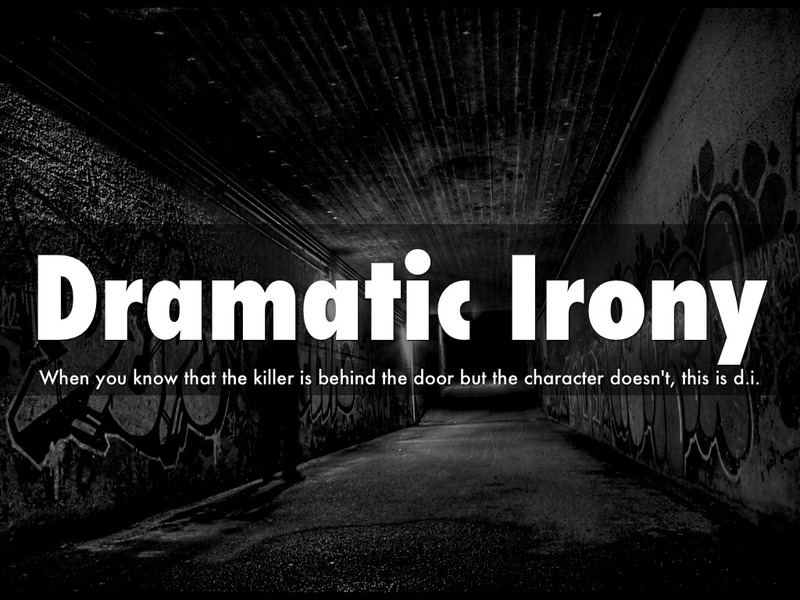 When you know that the killer is behind the door but the character doesn't, this is d.i. 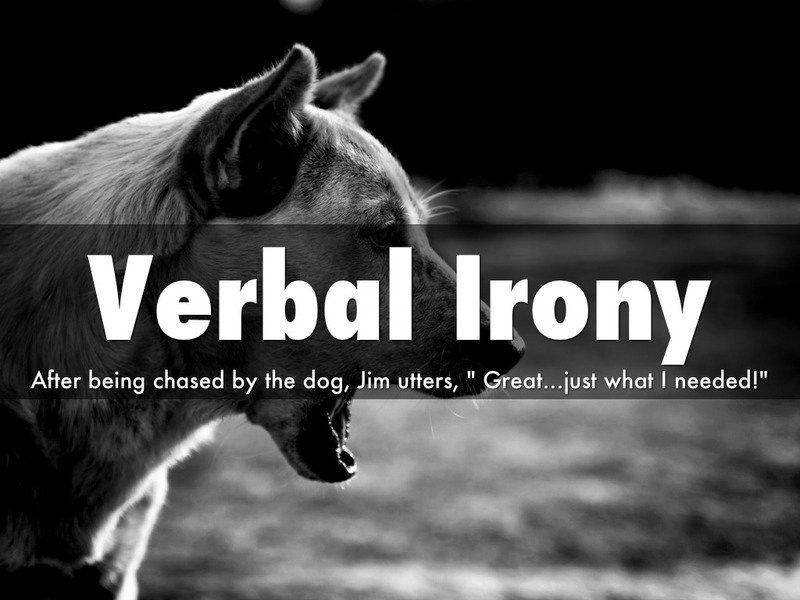 After being chased by the dog, Jim utters, " Great...just what I needed!" 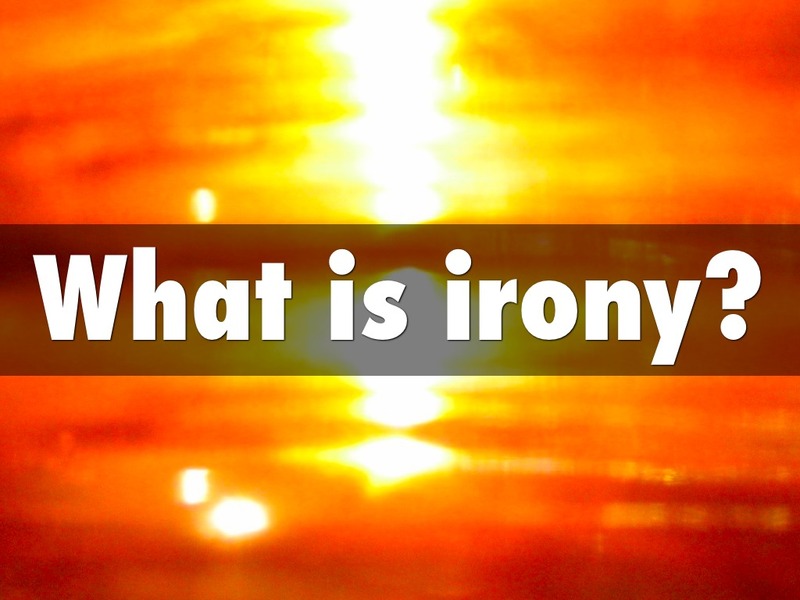 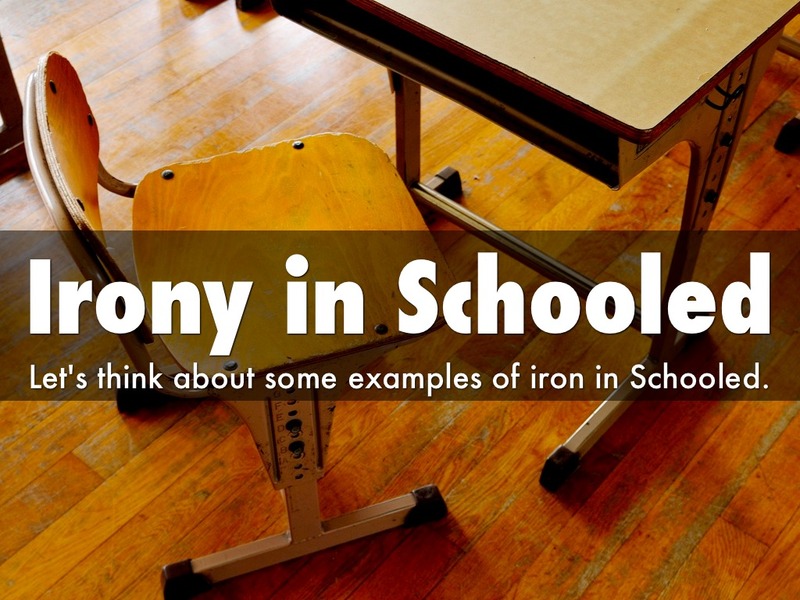 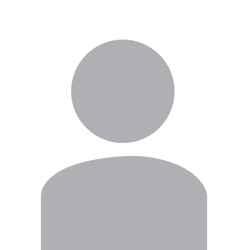 Let's think about some examples of iron in Schooled. 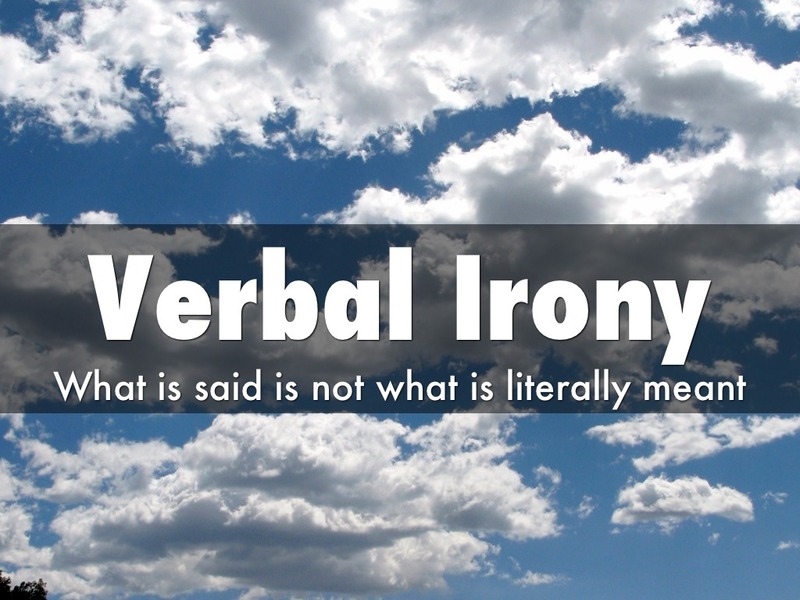 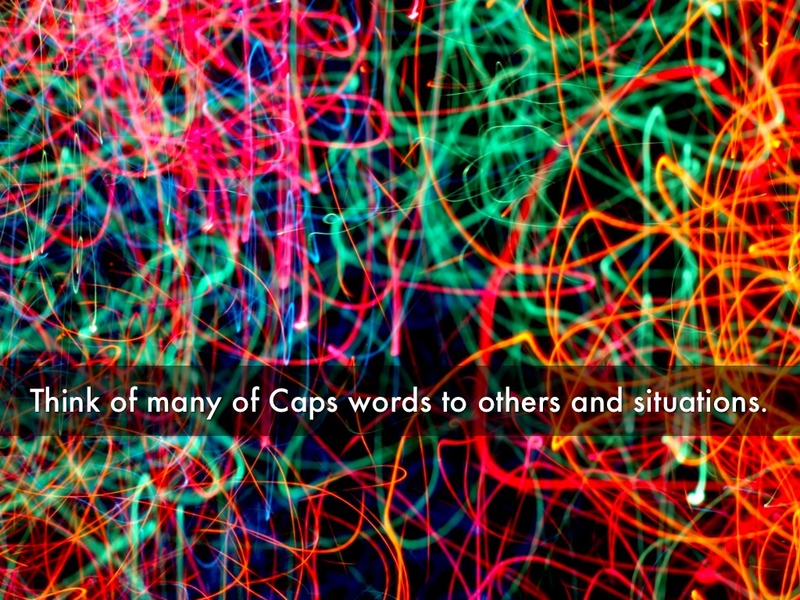 Think of many of Caps words to others and situations.